Every day I seem to find something new to photograph. I saw this lovely pond today. There were honking geese there too, but I wasn’t able to get a photo of them. Whenever I see a scene like this, I can’t help thinking about Narcissus meeting his end in a setting very much like this one. I love this time of year so much, and there’s no better place than western North Carolina to see all the small miracles happening every day in Nature’s march toward summer. 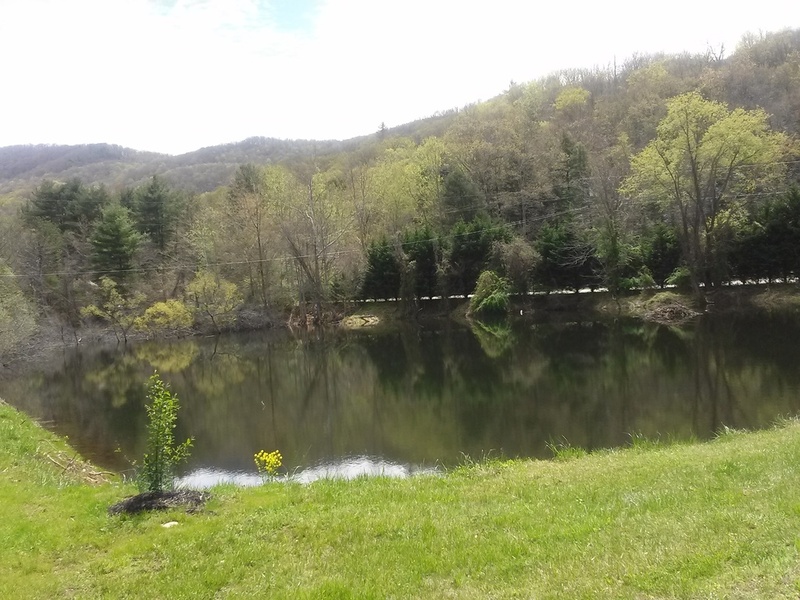 This entry was posted in Asheville, landscape photography, Narcissus, photography, pond, spring, trees, western North Carolina and tagged Asheville, landscape photography, Narcissus, photography, pond, spring, trees, western North Carolina by luckyotter. Bookmark the permalink. I LOVE spring in North Carolina!